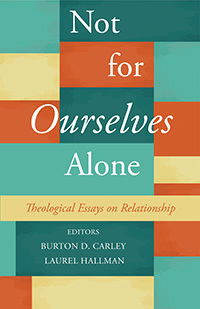 Twelve essayists encourage a shift in Unitarian Universalism from individualism to connectedness. Shows how we can grow our souls through our relationships with one another and with the Holy. Includes exercises for use in small groups. These twelve essays from Unitarian Universalist leaders emerge as part of a movement in the faith from focusing on individual identity to relational connectedness. Through personal stories and thoughtful reflections, the contributors describe how we might grow our souls through our connections with one another and with the Holy. They invite us to move beyond the age-old theological question "Who am I?" and ask instead, "Whose are we?" This new emphasis suggests that we are all part of something larger, something that both includes us and transcends us. Group exercises and journaling prompts accompany the essays, making this an ideal resource for use in congregational settings or small gatherings. Helping us to be more vulnerable with one another and to express things not easily defined in precise ways, Not for Ourselves Alone offers fertile new ways for Unitarian Universalists to grow in the life of the spirit. A different world is possible. A more peaceful, just, and joyful world is possible. We can remember our more authentic, connected selves, but this requires something more than momentary heroics or even the shared aftermath of grief and loss. It requires the discipline of a regular spiritual practice to support the remembering of our deep belonging to one another and our world and to that transcendent power of Love. For some, this practice can be found in joining a religious community and allowing the experience of shared worship to orient the heart outward. For others, it may mean embracing a private daily practice like meditation or prayer, and then translating that practice into some form of community engagement, such as the arts or social justice movements. I am more than a self alone. I, like you, belong to humanity, to the earth, to the Spirit of Life and Love. When we remember this transcendent aspect of being, we become capable of treating one another with the deepest respect and kindness. I know that I belong, in varying senses, to my family, to my congregation, to my colleagues, and to a liberal religious tradition. But these are all horizontal expressions of a vertical dimension. There is a transcendent dimension. I belong primarily to a God who is the Commanding Reality of life, commanding because it requires me to live in right relationship. This God is the transformative, sustaining, and redemptive power in the universe made known in relational experience. This God is both Source and Destiny, preceding and continuing beyond my brief existence. It is worthy of devotion and praise. It has staked a claim on my heart and my mind. And my hardest spiritual work is to accept that it has a loving intention for me and for all living creatures. Am I confined to the lonely task of answering the question, "Whose am I?" Or can we venture boldly and together answer the question, "Whose are we in the context of our liberal religious tradition?" Perhaps individualism was liberating in the rigid cultures of the nineteenth century. Perhaps. Today individualism is not liberating; it separates us. It creates a prison of the self. We are relational creatures. Our very sense of self, ironically enough, emerges from our network of relationships. We become fully human in relationship: with one another, with our past, with our shared aspirations, with our vision of the holy. This marvelous collection explores relationship as a spiritual discipline. What a needed and timely blessing it is. If I had my way, Not for Ourselves Alone, would be required practice for every single person in every single UU congregation, even part of joining a congregation. It helps capture the spirit of our faith. How I wish it had been my own experience forty years ago. It made me reflect; it made me consider my life decisions; it changed me. This is a good book. Faith is a re-ordering of our lives for courage and fullness that comes from finding our core truths that will guide, prod, and protect. Here are courageous and transparent stories from others, thoughtfully collected, which can help our own re-ordering. For we live by stories—both our own and others.